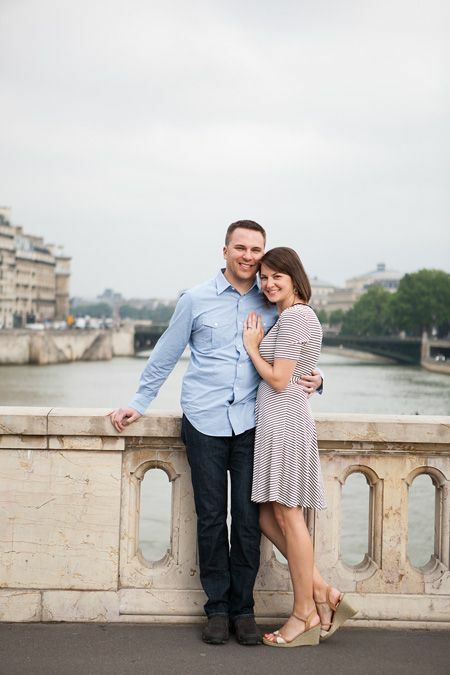 Casey and I just got back last night from 8 days in Paris this past week. 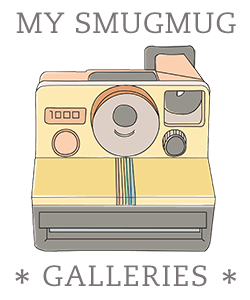 If you follow me on Instagram, you probably already figured that out. We were gone for a total of 10 days, including travel days. Last night, after being awake for about 24 hours straight, I was seriously feeling the effects of sleep deprivation. Still, at 4:30 this morning (11:30am Paris time), I was wide-awake and exhausted. Jet lag is killer. Mounds of laundry are slowly getting done today as I mostly spend time with two sweet little boys who are so glad to be home. And boy were we glad to see them. Our parents are really the ones who made this trip possible. They each kept our boys for 5 days while we were gone. I know they love the boys and love to spend time with them (apparently everyone had fun this week), but that doesn't make it any less exhausting to care for them! Back to the trip...I have 1600 photos to sort through. And I still have photos from Ethan's birthday party, a zoo trip, and a newborn photo session to edit. So, photos of our trip may be slow in coming. Mostly because I fully intend to enjoy these summer weeks at home with my boys. The photos will get done eventually (I hope). 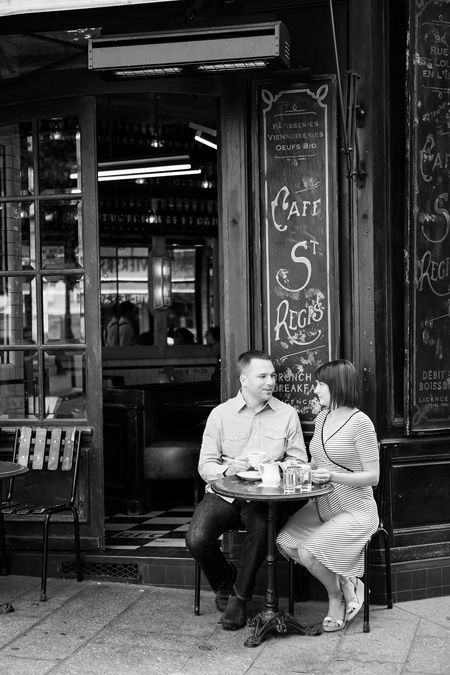 Until then, here's a few from our 10th anniversary photo session with Catherine O'Hara Photography in Paris. She's from Ireland originally and was so great at the session. 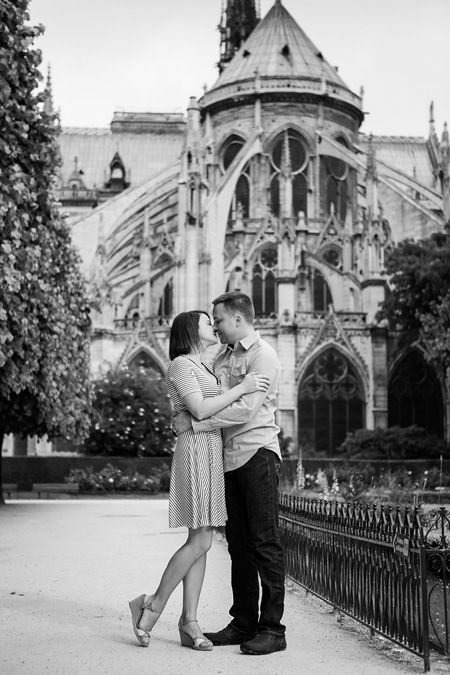 It was such a treat to have these photos taken for us so that I didn't have to worry about having photos of the two of us together in Paris. I don't think you can tell, but it was about 47 degrees that morning. I was freezing. I had to make a last minute decision to either wear what I had planned for the shoot (the dress) or something warmer that I didn't like as much. Obviously, I decided to tough it out and wear my dress. Speaking of weather, the temperatures last week in Paris varied from about 45 to 82 degrees F. Quite a range. But really, we had gorgeous weather. We both had jackets and layers that kept us warm when the mornings and nights were chilly, but on the 80 degree days, I wore my sandals and a dress. It really was perfect...not a drop of rain until the morning we left to come home. 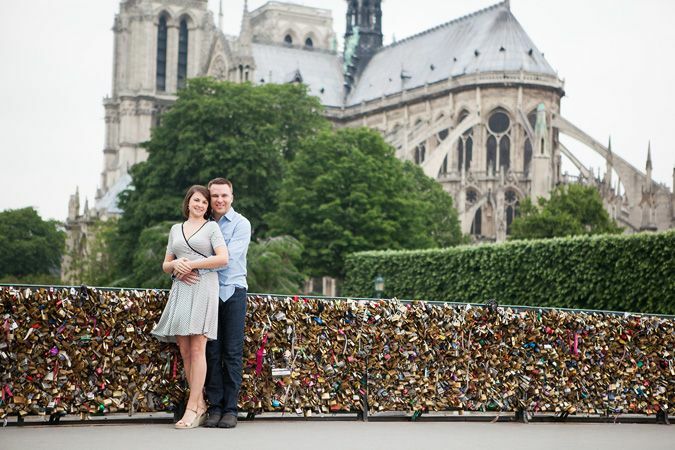 I picked the location for our photo shoot...Notre Dame and the surrounding area...because I love Notre Dame. I think it is beautiful. And also because I knew river/bridge shots would definitely be included. The Seine and the bridges in Paris are so iconic to the city. I'm so glad I picked this location. 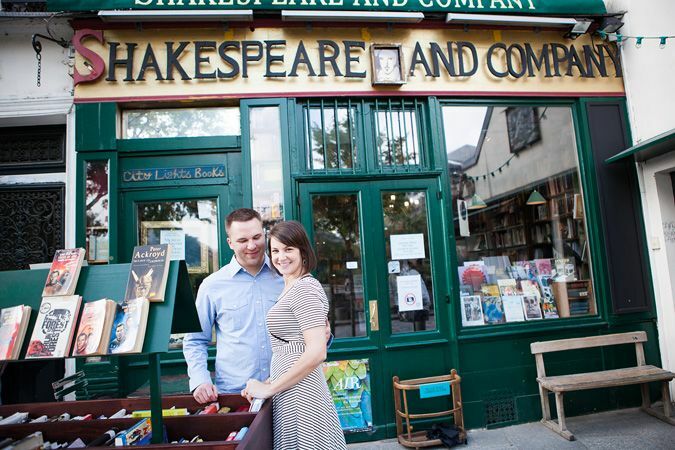 We even got to have a cup of tea at a cafe and do some browsing at Shakespeare & Co. for our shoot, both of which were so perfect and fun. Oh, yeah...maybe this goes without saying, but we had a fabulous time on our trip! Wow, what an awesome trip. Beautiful photos! happy anniversary! I went to Paris right before law school and it was such an incredible place to visit. I agree, so much beauty there at all the places you mentioned. Aw!!! Love it!!! You'll have to blow them all up into huge canvases and hang them on your wall! So sweet! Great photos! Glad you captured these memories. I never would have thought of hiring a photographer. Bonus points for being clever! Love the photos! Looks like a great trip! So fun! Glad you had a great time. I actually just got back from Paris too.